Posted by judylobo in Animal Video, Central Park Zoo, Nature, photography, Wildlife, Zoo. 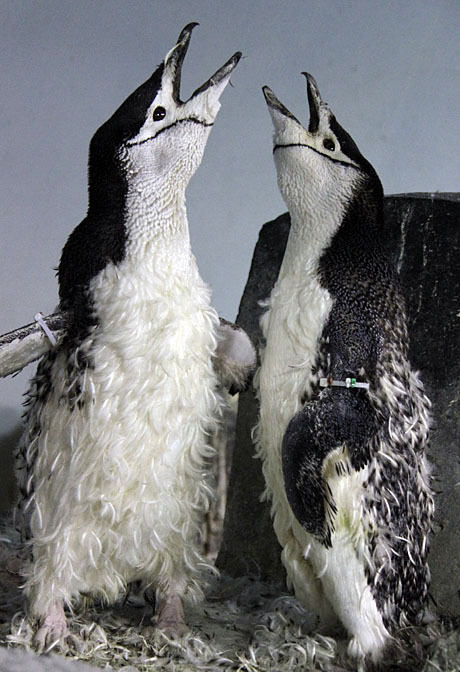 This is penguin molting season at the Central Park Zoo. Feathers, feathers and more feathers. In a few weeks it will be all over and they will be soaring through the water once again. Come visit! There are only seven spaces available for my Fall Foliage Photography Workshop at the Central Park Zoo on October 23, 2012. Dont’ be left out in the falling leaves. Sign up – it will be fun. The last part of the workshop will find us going to the Apple store for some fun lessons in editing from their resident genius gang. .by Shelly Lane.Its something that all parrots go through that time of the year when old feathers are shed and beautiful new feathers come in to replace them. It also means that it is nearly time for our Quaker Parrots to begin their yearly molt..Soon over approximately a six week period our parrots will slowly lose and replace the large majority of their feathers.